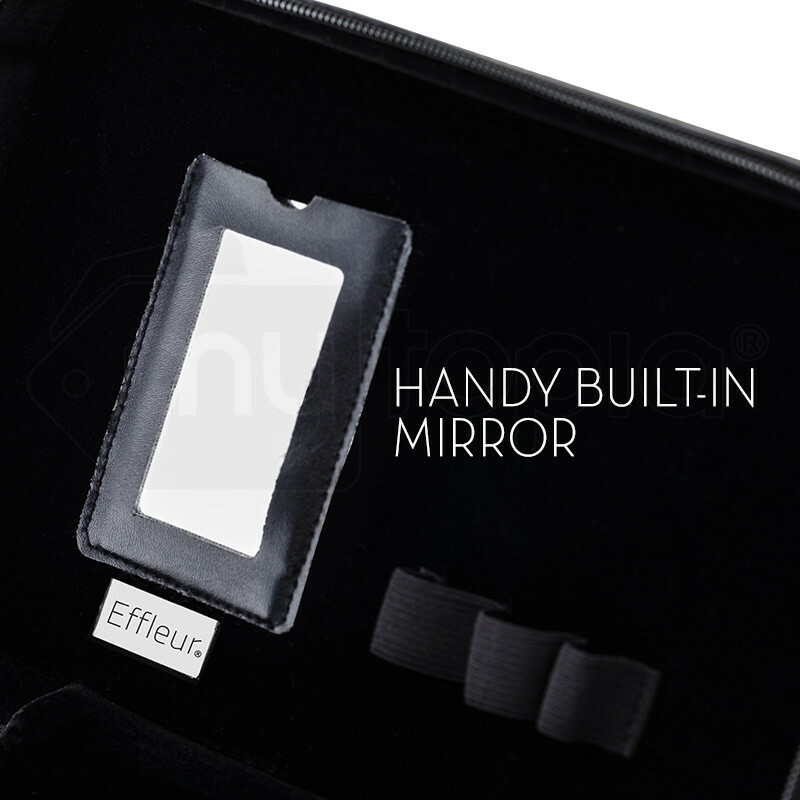 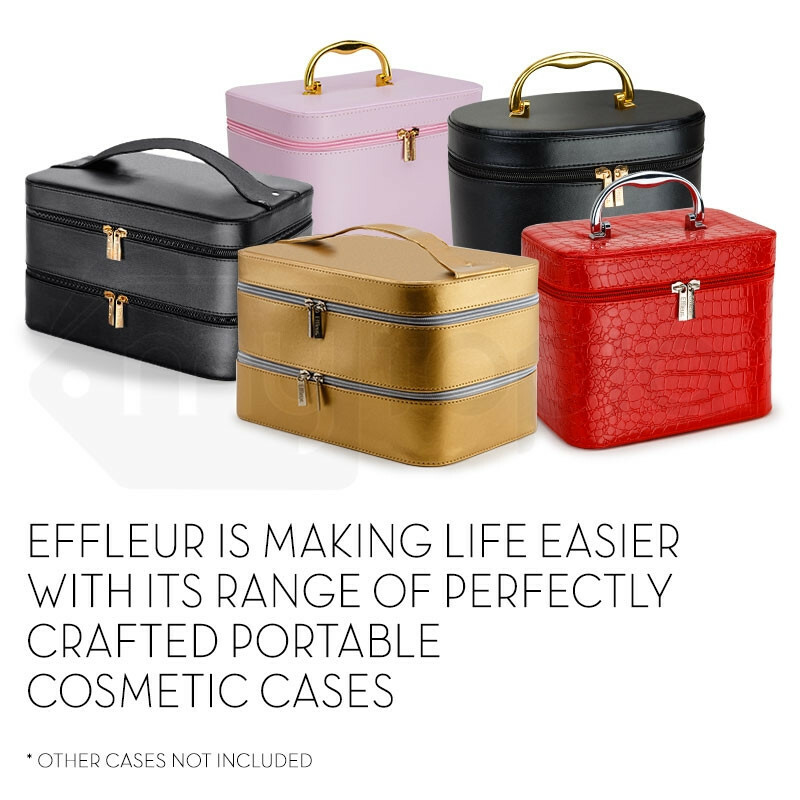 Effleur’s Portable Makeup Case is designed to carry large amounts of beauty essentials and accessories. 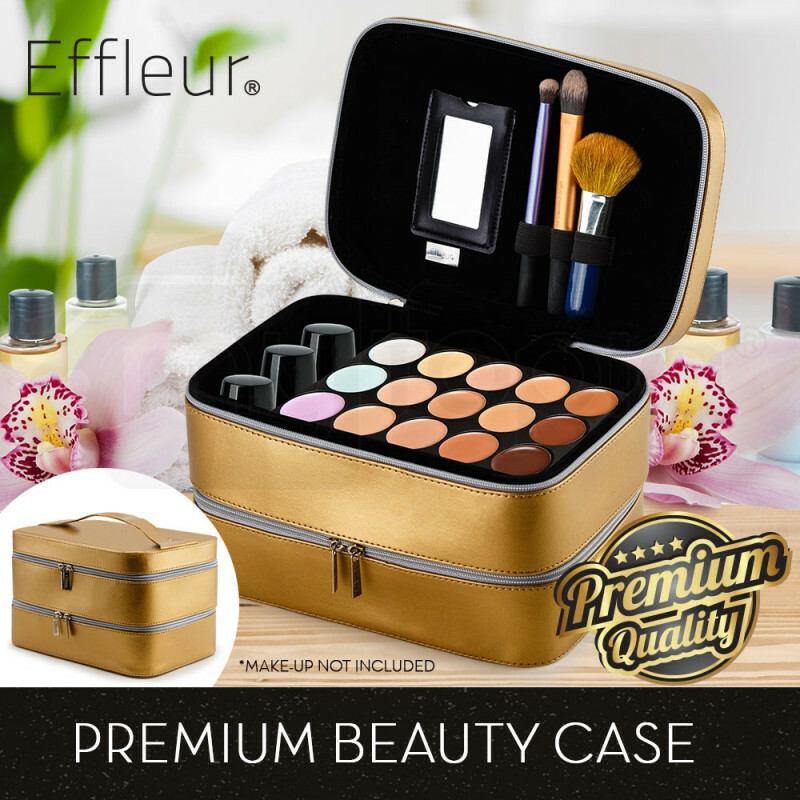 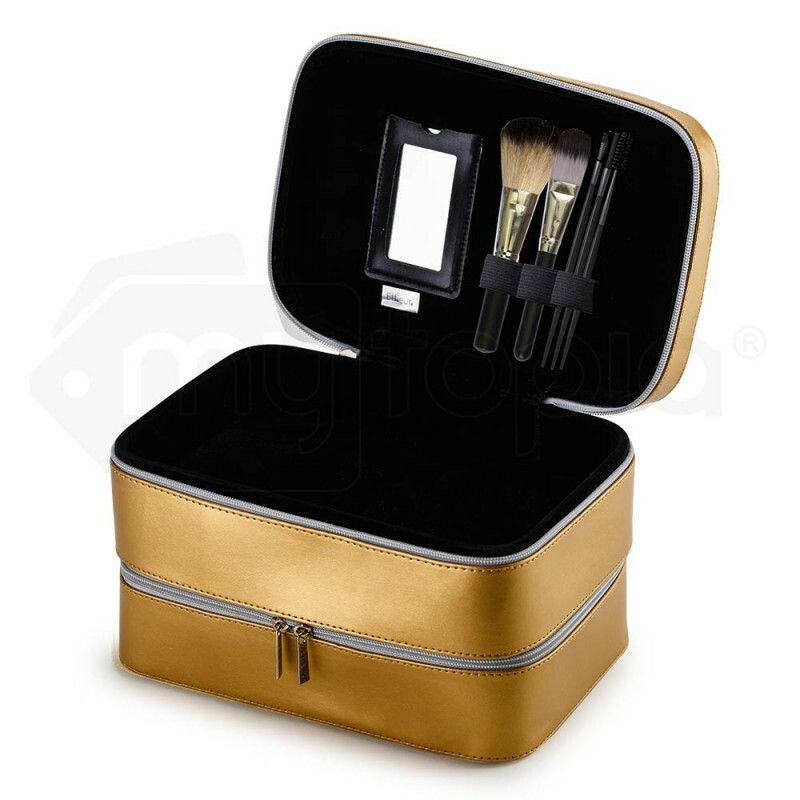 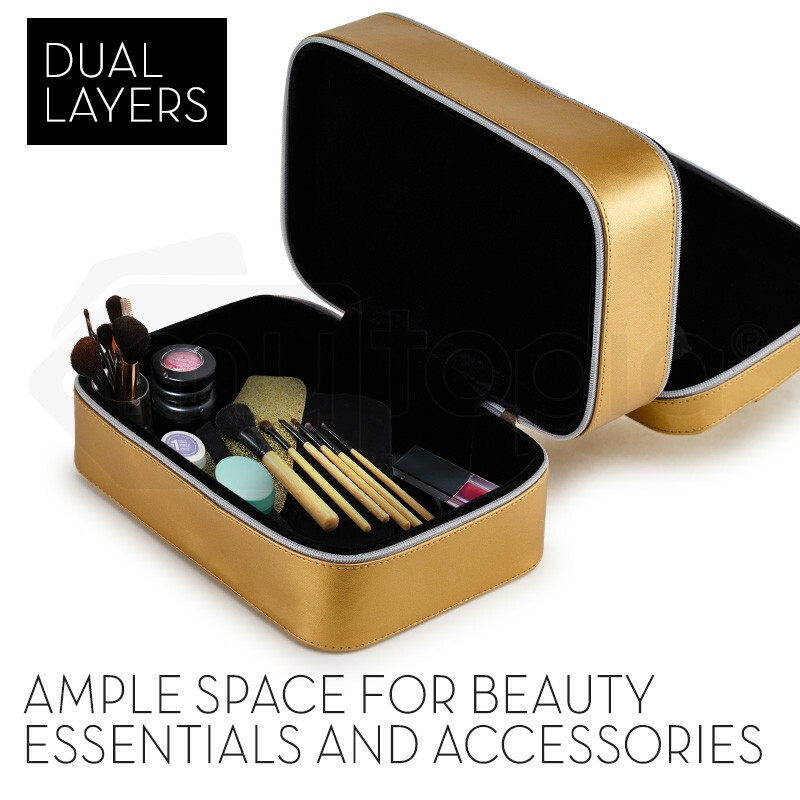 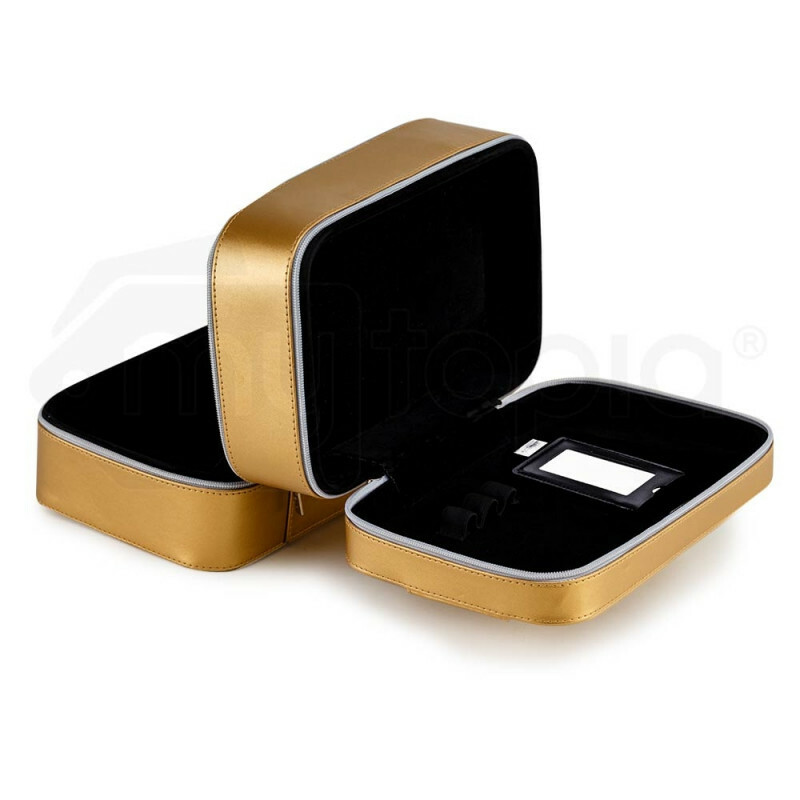 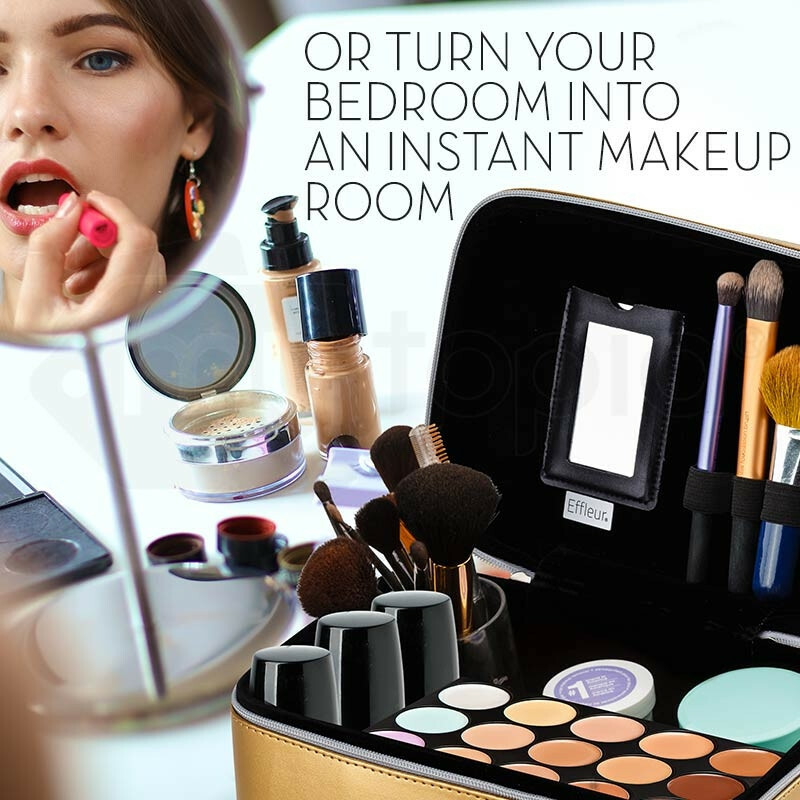 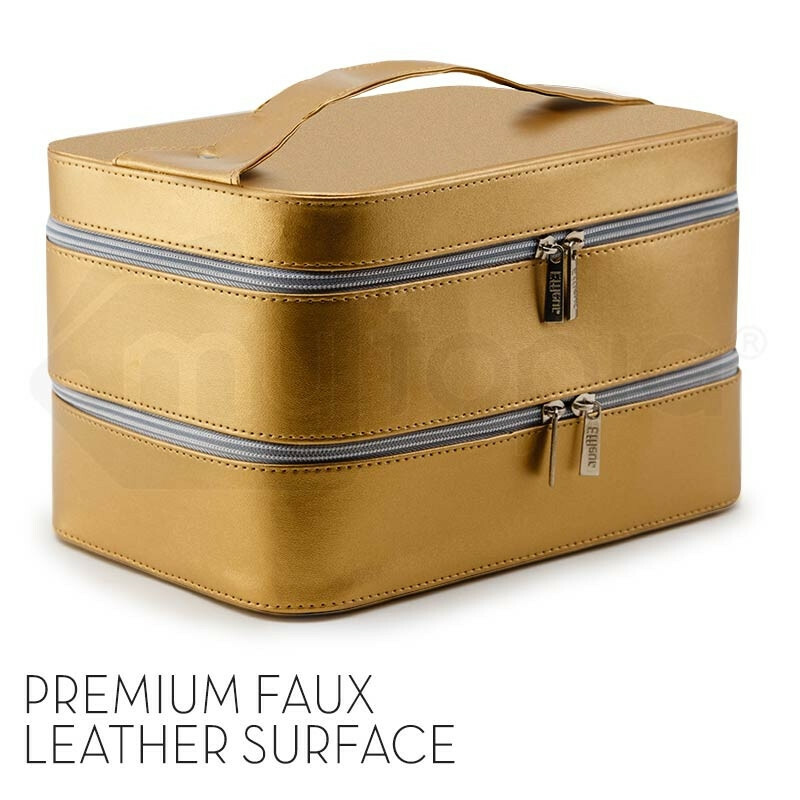 Expertly crafted for beauty enthusiast and makeup aficionados, this beautiful cosmetics case is made with premium faux leather construction which guarantees durability. 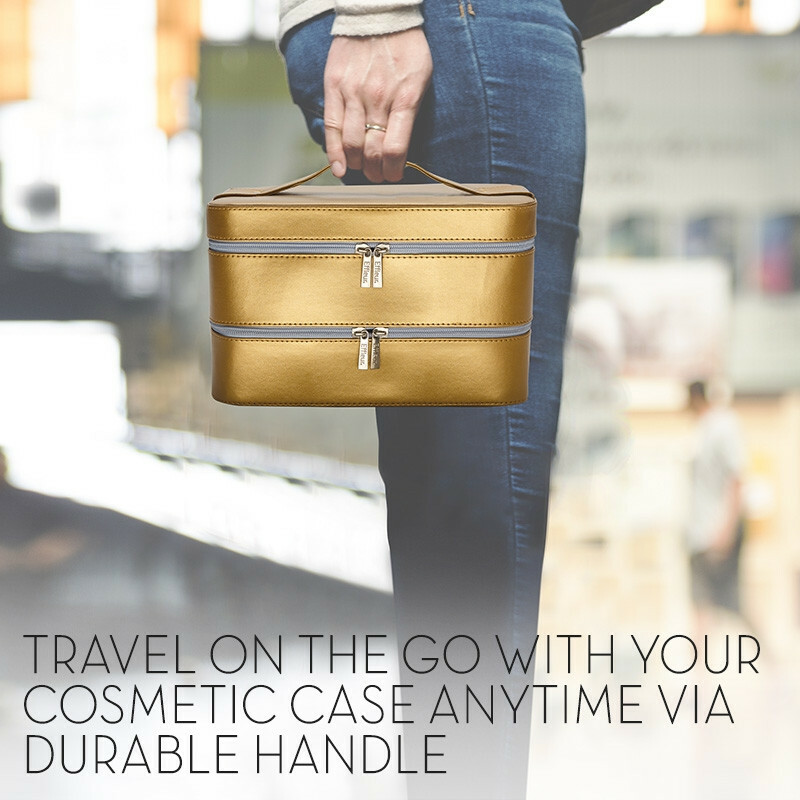 The heavy-duty handle, lightweight design and soft padded sides make for effortless transportation. 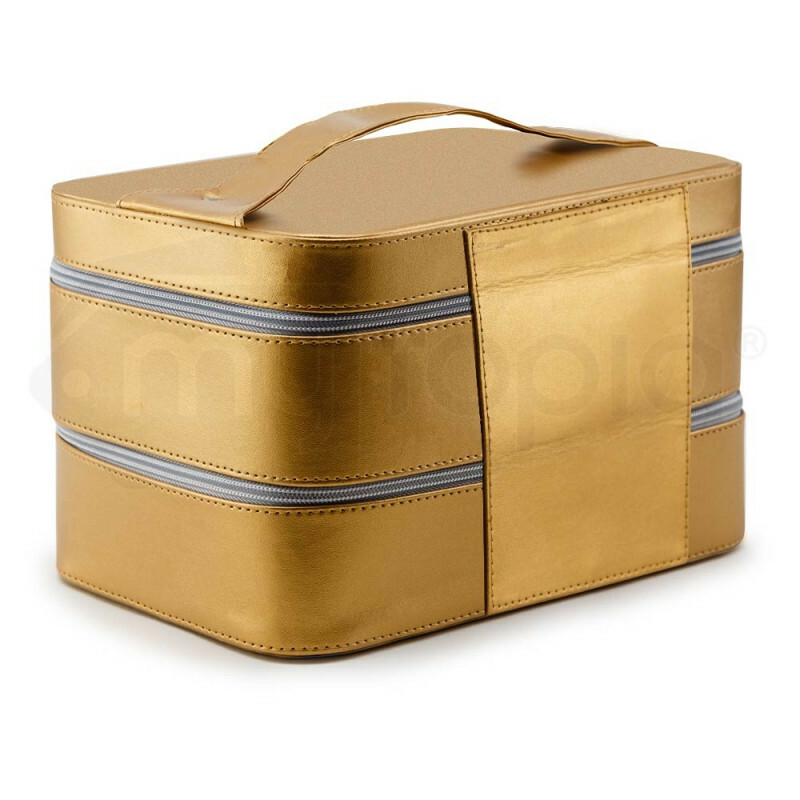 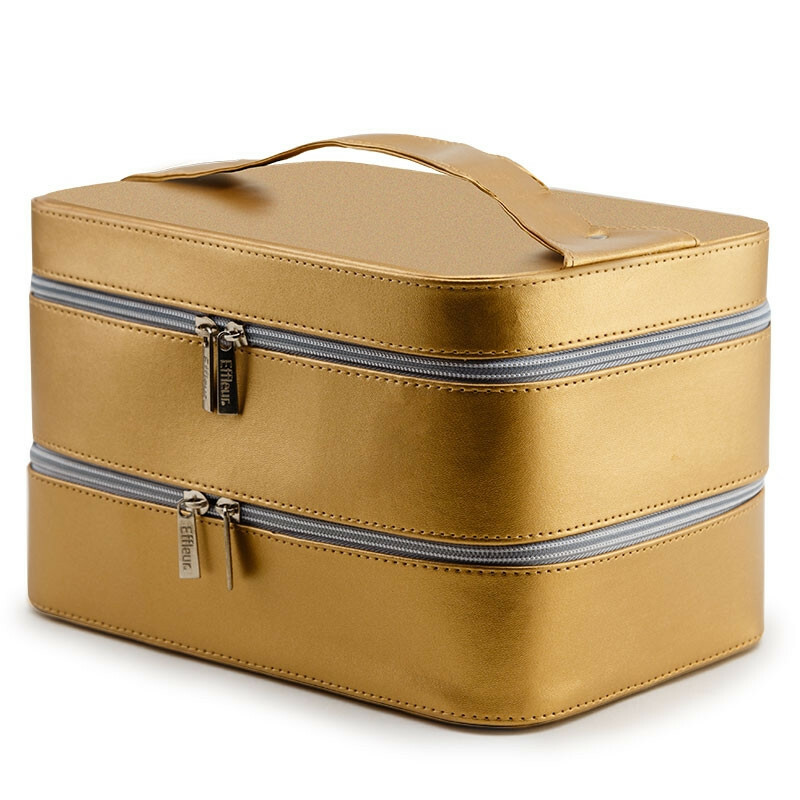 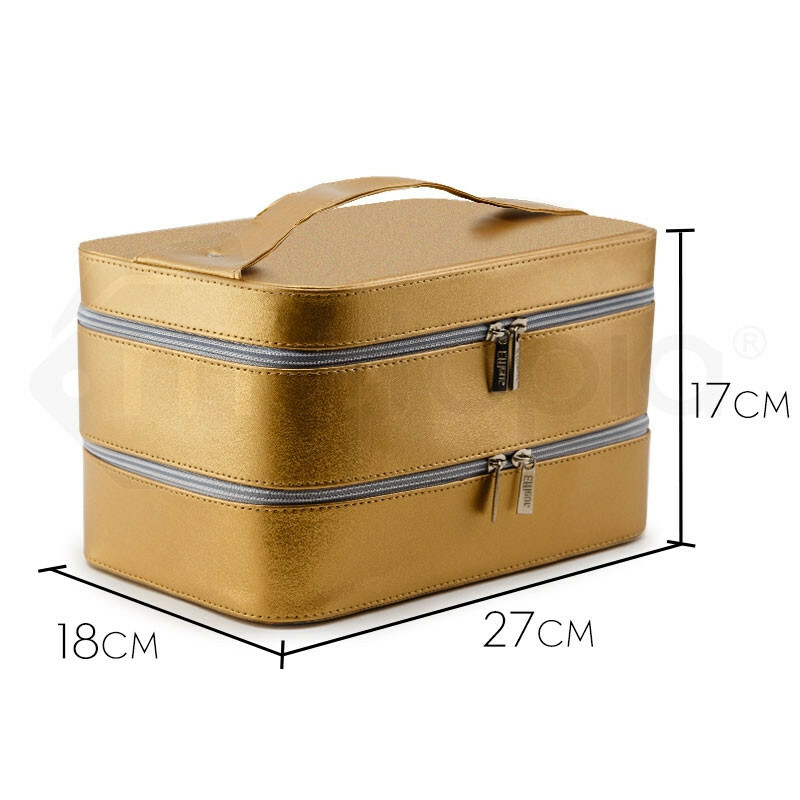 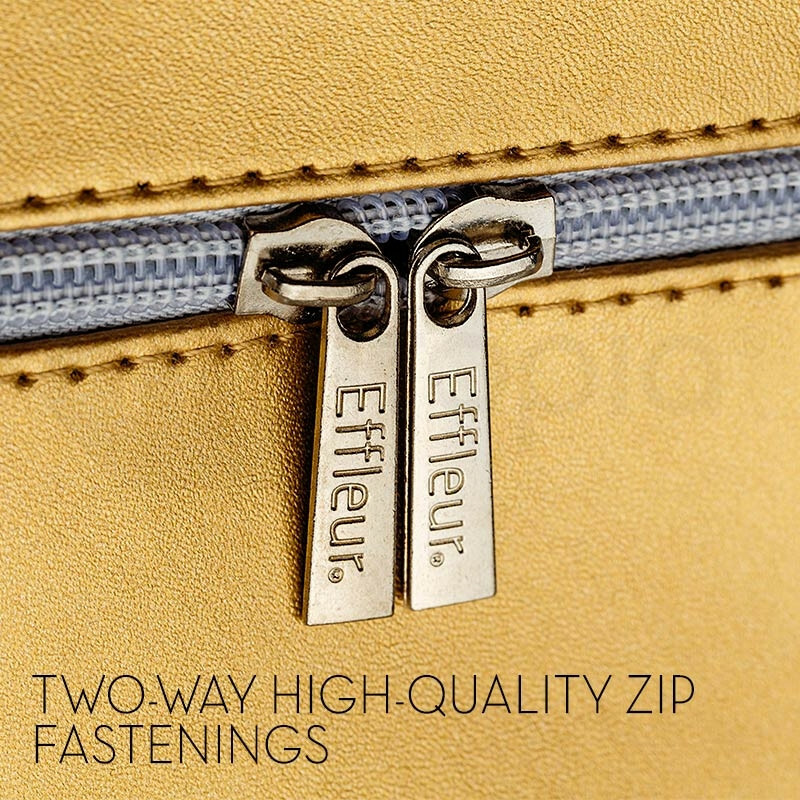 It comes in an elegant gold colour combined with a handy built-in mirror and gold zip fastenings to present a sophisticated style. 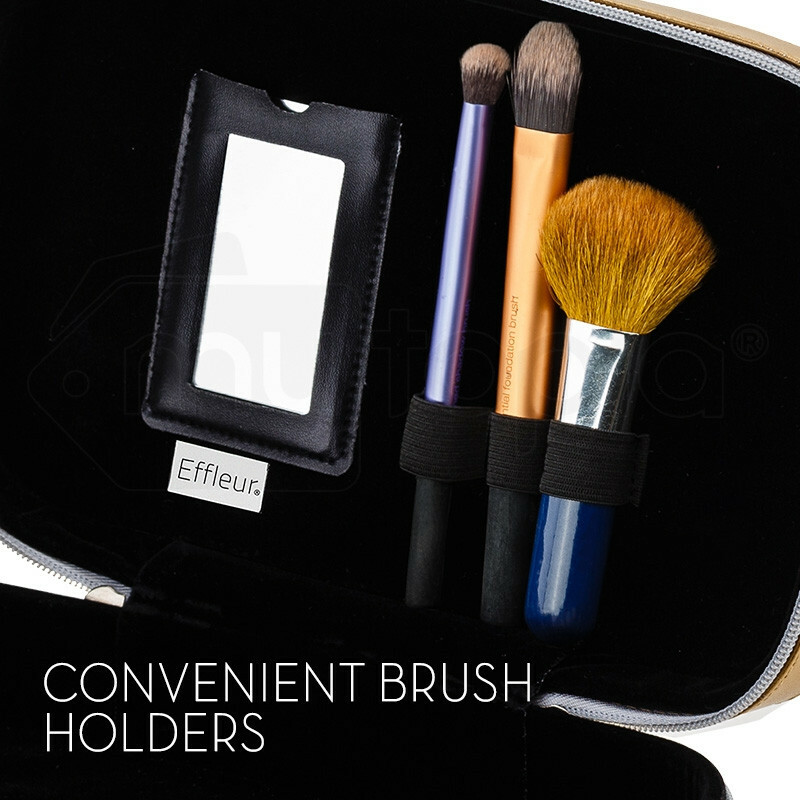 With convenient brush holders, you’ll be able to customise the organisation on all of your cosmetics and store them in pristine condition.